Valve reliability is important in any hydraulic application. But when you are dealing with extreme pressures, you want extra peace of mind that your valves are going to deliver the control you are depending on for safe and efficient operation of your hydraulic system. To make things easier on yourself, you can choose your valves from our selection of Oilgear high pressure valves in Ontario CA. Oilgear gained additional expertise in the high pressure, high volume valve market by acquiring an expert in this field, The Olmsted Products Co., in 2008. So if you can’t find standard Oilgear high pressure valves in Ontario CA to meet your specs, don’t worry–they have the resources to provide a specialty solution. 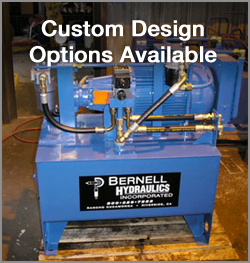 As a family-owned company that has been a trusted provider of Oilgear high pressure valves in Ontario CA since 1977, Bernell Hydraulics can be relied upon to fill your orders correctly with authentic parts. When you shop with us, you’ll also enjoy exceptional personalized service. We will be happy to help you figure out what valves will work best for your system requirements and your budget and we can also provide any other parts or accessories you may need for your hydraulic system. Whether you’re ready to place an order for Oilgear high pressure valves in Ontario CA or simply want more information, you can reach us at 800-326-7252.